I’m listening to the geese outside. They’ve gathered to sound the call, “Winter’s coming. 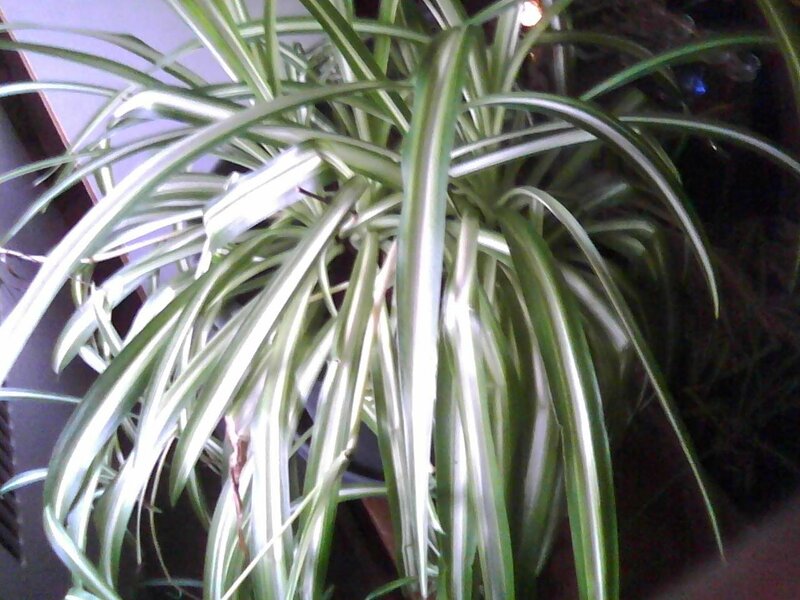 Get warm.” I look at my spider plant, and I am happy. We made it through several tough winters together. I am thinking about rejuvenation, a common theme in my life. About a year and a half after I moved to Philadelphia, I bought the plant. Caring for it has been a lesson in rejuvenation; a chance to see my own blossoming reflected in its growth. One year it’s super healthy; the next, not so much. I’ve experienced that, too. The plant was delicate, about two inches high, and carried the promise of a lush future in my studio apartment with its southern and western exposures. I was right off the park; there was lots of sun, a trail thick with trees below my window, and good neighbors. On sunny days, the western exposure filled the room and my spirit with immense joy. On rainy afternoons, the wet washed leaves, the creek below, and the clouds in the open, western sky gave me peace. I was excited about so many things: a new city and a new life, and it seemed that as my excitement grew, so did my spider plant. I watered it weekly and fertilized it regularly. I bought a larger pot and added more soil. I even talked to it and played soothing music. I bought a lovely shelf on which I placed the plant so that it would thrive in the western sun. There were other plants in the window, but the spider plant was my favorite. Through the spring and summer, it grew quickly, becoming a tall, full miracle with its slender green and white leaves and tiny spider shoots branching out one on top of the other. I would look at that plant and feel happy. It represented health, security and beauty. Then, overnight it seemed, the trees in the park became orange, yellow, red, and rust; then bare. Living off the park was a tremendous experience. Listening to the wind in the naked branches, I understood what was meant by wind-song. I watched as walkers’ clothing went from sweaters to jackets to down. I am not a fan of winter, and I would walk along the park and secretly stick my tongue out at the wind. But at night, its song in the trees was the lullabye that made sleep come easy. I felt lucky. With the same subtlety as the summer morphing into fall, the fall churned into winter. And with even more subtlety, somewhere between the first chilly winds and the first snow, my spirits began to droop. Winter would not–and could not–be my friend. When I think about it, I believe that is when the spider plant began to die. I remember complaining a lot during that time. I complained about the frenetic pace of the east coast and the culture of the people (brusque). I complained about the apparent lack of interest folks had in things outside of their own neighborhoods (provincial). I complained about the work ethic and the fact that folks actually expected a person to barrel through two to three feet of snow with enthusiasm in order to sit in an office all day. I complained because I missed my friends in California and because I missed the summer with its hot western light, open sky and red sunsets. Week after week, more and more leaves would wither on the spider plant and drop to the floor, and frankly I don’t know when I woke up to the fact that I wasn’t caring for the plant. But I wasn’t caring for myself either. By the next spring, there was nothing left to the plant but one frail leaf, dry dirt, and a large empty pot. The plant looked like I felt: malnourished. There were several times, I could have thrown it away, but something inside me knew that I would be throwing away myself. So…I decided to nurse it back to health, and in the process I replenished my own spirit. Caring for something or someone else–anything or anyone else–performs miracles. I bought two new pots, one for the plant and one for me. With new soil and new fertilizer I fed the plant. With homemade soups and fish I fed myself and some friends. I volunteered in the community. I found an acupuncture practitioner. I once again whispered to the plant as I watered it. I took out my pen and journals. I started writing again. Spring morphed into summer as it always will do. The plant began to flourish—five inches then seven inches tall. I joined writer groups. I went to theater productions. I began to come alive again. So did my plant. By the time I moved to my current place, the plant and I were happy. I believe in the mystery of things. I believe in the power of nature to heal. People and their plants, like folks and their pets are interconnected. I believe that as the plant grew healthy, so did I. Or was it the other way around? Outstanding post, I believe people should learn a lot from this web blog its very user genial. So much superb information on here :D.